Kindergarten represents the entry level for the majority of St. Patrick’s students. The school’s curricular and programmatic sequence begins at the kindergarten level and continues through grade six. A credentialed teacher, aided by an instructional assistant, plans and coordinates the core learning activities—reading, language arts, math, social studies, and science. One of our primary goals is to create a safe and rich learning environment for all kindergarten students. Children do their best learning when they feel safe, cared for, and part of a family. A child’s social and emotional growth is as important to us as his or her academic success. Another important component of a successful kindergarten year is a partnership with parents. We ask parents to work with us as a team to ensure the best possible kindergarten experience for each child. Parents have many opportunities to volunteer in kindergarten activities and on field trips. The St. Patrick’s kindergarten is a full-day program. However, in order to help students make a smooth transition, kindergarten students have the option of leaving at 2:00 p.m. from the opening of school to November 1st. Beginning on November 1st all kindergarten students attend a full day program, 8:30 a.m. to 3:00 p.m. In addition to the academic experience, kindergarten students also work with the specialist teachers and have weekly classes in art, music, PE, computer, and Spanish. These enrichment classes supplement and are often coordinated with the academic skills and content introduced in the homeroom setting. 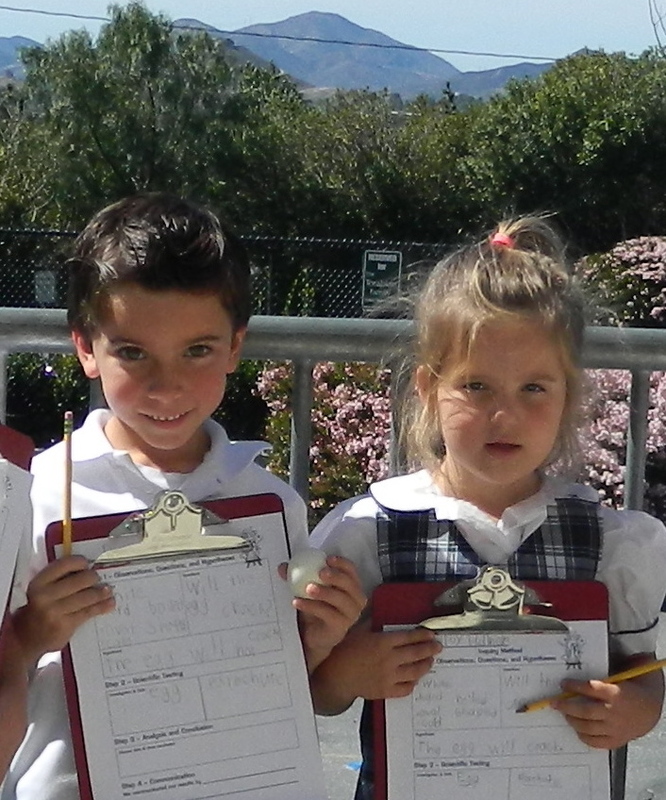 The kindergarten year at St. Patrick’s provides an extraordinary and wondrous learning experience for a five year old. It is a place where the joy of learning and natural inquisitiveness of young children is combined with the acquisition and refinement of desired academic skills.